We're two guys from the midwest who like a lot of nerdy things. 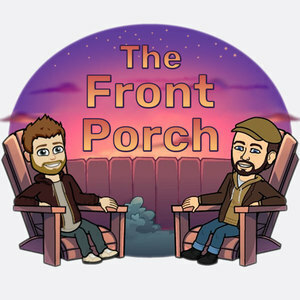 We used to live in the same town and a frequent part of board game night was some or all of the group hanging out on the host's front porch and chatting about all manner of topics. We avoid the serious and divisive parts of those front porch chats like politics and religion. Instead we focus on the fun stuff, stuff that matters; comics, movies, tv shows, video games, and board games, with maybe a few other peripherally related topics. Our show doesn't have a specific theme, so some conversations might include deep-dives into specific topics like a certain game, movie, or episode of a show. We'll try and tag all our spoilers, and include a table of contents in the show notes for each episode, so our listeners can skip over spoilers or topics that don't interest them. We're both completely new at this, so we welcome any and all listener feedback.